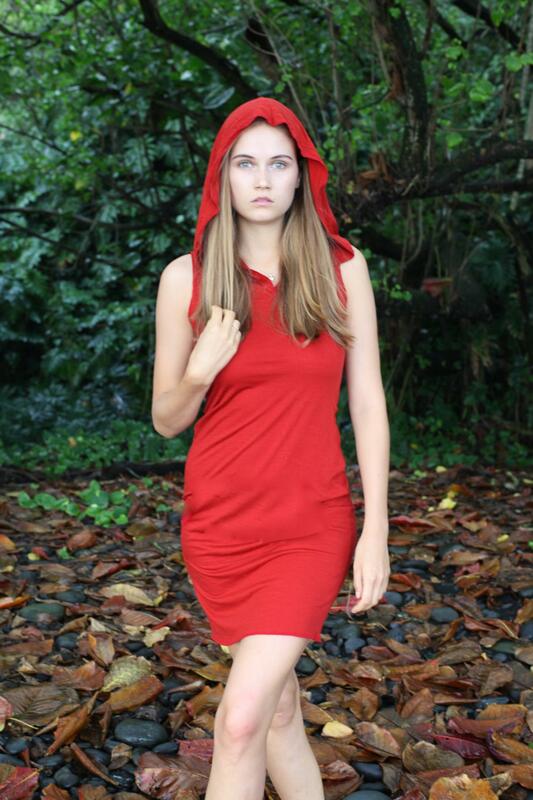 The Sleeveless Merino Hoody Dress is one of the most popular styles in the Aum Collection. A piece you can dress up for a business meeting or a more casual beach style, as the model wears on the beach in Maui. Features: Sleeveless so you can bare your arms of add a shrug or fingerless gloves as the weather shifts and depending on your mood. 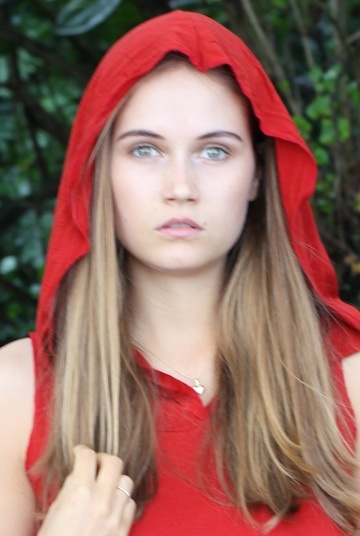 The classic generous Aum hood takes us back to a medieval Avalon time. We have updated the style this year taking out the front pocket. Fabric: 100 % lightweight merino wool adds a warmth as the weather cools and also can be quite cooling when the weather is hot. The merino wool has an elegant drape. Shown Here: The Nova Red colour is a gorgeous rich colour with a tinge of burnt orange in the sunlight. 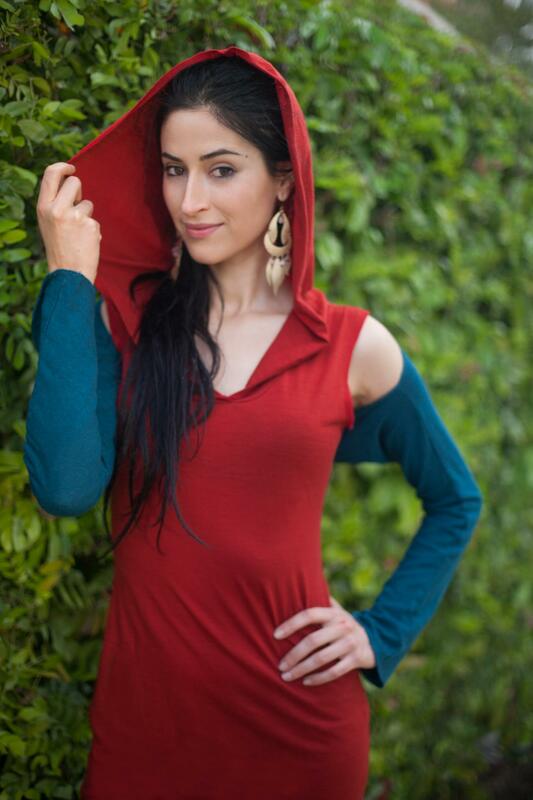 The teal blue shrug is an added detail to any Aum Goddess ensemble. See thumbnail for the merino wool lavender colour. Wear to Dare Aum Goddess Damzels !